The same analytical technique that uncovered cheating in currency markets and the Libor rates benchmark [details below] — resulting in about $20 billion of fines — suggests the dealers who control the U.S. Treasury market rigged bond auctions for years, according to a lawsuit. 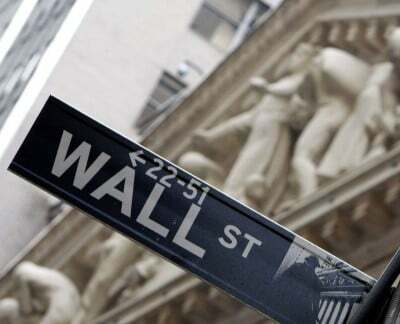 The plaintiffs built their case against the 22 primary dealers who serve as the backbone of Treasury trading — including Goldman Sachs Group Inc., JPMorgan Chase & Co. and Morgan Stanley — using data from Rosa Abrantes-Metz, an adjunct associate professor at New York University who has provided expert testimony in rigging cases. Her conclusion: More than two-thirds of a certain type of Treasury auction appear to have been rigged. She found issues with other auctions, too. Treasury traders at some banks learn of customer demand hours before auctions, and were communicating with their counterparts at other firms via chat rooms as recently as last year, Bloomberg News reported earlier this year. Among the lawyers representing the investors is Daniel Brockett, a Quinn Emmanuel attorney who recently won a $1.87 billion settlement against Wall Street’s largest banks in a case alleging they conspired to limit competition in the market for credit-default swaps. Another group of investors, including Boston’s public employee retirement system, has filed a similar suit against Wall Street primary dealers. Experts interviewed by Labaton Sucharow LLP, the law firm that filed that suit, analyzed auctions and the market for when-issued securities, which are essentially agreements to buy or sell Treasury bonds, notes or bills once they’re issued. They claim that banks colluded to push prices artificially low at auctions, and to drive prices for when-issued securities to artificially high levels, until December 2012, when news broke of investigations into how Libor was set. High-frequency trading has also long been used to manipulate the treasury market. It has long been known that currency markets are massively rigged. And see this, this, and this. Indeed, not only do the banks share confidential information with each other … they also shared it with a giantoil company. Runaway derivatives – especially credit default swaps (CDS) – were one of the main causes of the 2008 financial crisis. Congress never fixed the problem, and actually made it worse. Indeed, many trillions of dollars of derivatives are being manipulated in the exact same same way that interest rates are fixed (see below) … through gamed self-reporting. U.S. and European regulators have probed potential anticompetitive activity in CDS. In July 2013, the European Commission accused many of the defendants of colluding to block new CDS exchanges from entering the market. In other words, the big banks are continuing to fix prices for CDS in secret meetings … and have torpedoed the more open and transparent CDS exchanges that Congress mandated. The managing director at Graham Fisher & Co. (Joshua Rosner) recently said that the big banks arefrontrunning CDS trades … and manipulating decisions on whether a the party “insured” by CDS has defaulted on its obligations, thus triggering an “event” requiring payment on the CDS. By way of analogy, whether or not an insurance company pays to rebuild a house which has burned to the ground may turn on whether it finds the fire was arson or accidental. This is a big deal … while hundreds of thousands of dollars might be at stake in the home fire example, many tens or even hundreds of billions of dollars ride on whether or not a country like Greece is determined to have suffered a CDS-triggering event. The potential use of CDS to artificially manipulate corporate solvency, the imbalances in the amounts of CDS outstanding relative to referenced debt and ongoing allegations that ISDA’s Determinations Committee is deeply conflicted and “operates as a quasi-Star Chamber or cartel”, are finally being scrutinized. As one source recently suggested, “It would be a surprise if determinations of default, made by a committee of interested parties, don’t lead to findings of manipulation similar to those found in LIBOR and FOREX”. The fact that Pimco’s Chief Investment Officer criticized the determination that Greece had not triggered its CDS, even though Pimco was part of the unanimous vote making that determination, is profoundly troubling to say the least. The fact that the [ISDA’s Determinations Committees] has no obligation to “research, investigate, supplement or verify the accuracy of information on which a determination is based” and members “may have an inherent conflict of interest in the outcome of any determinations” only adds credence to suggestions that the “CDS market is being manipulated and gerrymandered by the all-powerful investment banks”. For example, oil prices have been manipulated for many years. And the U.S. Federal Energy Regulatory Commission says that JP Morgan has massively manipulated energy markets in California and the Midwest, obtaining tens of millions of dollars in overpayments from grid operators between September 2010 and June 2011. And Pulitzer prize-winning reporter David Cay Johnston noted last year that Wall Street is trying to launch Enron 2.0. And the Senate’s Permanent Subcommittee On Investigations found that Enron itself (which massively manipulated energy markets) was enabled by the fraud of big banks such as Citigroup and Chase. The big banks are taking over important aspects of the physical economy – including uranium mining, petroleum products, aluminum, ownership and operation of airports, toll roads, ports, and electricity – to manipulate market prices. Last November, Switzerland’s financial regulator (FINMA) found “serious misconduct” and a “clear attempt to manipulate precious metals benchmarks” by UBS employees in precious metals trading, particularly with silver. Gold and silver prices have been “fixed” in daily conference calls by the powers-that-be. So are prices being manipulated? Let’s take a look at the evidence. In his book “The Gold Cartel,” commodity analyst Dimitri Speck combines minute-by-minute data from most of 1993 through 2012 to show how gold prices move on an average day (see attached charts). He finds that the spot price of gold tends to drop sharply around the Londonevening fixing (10 a.m. New York time). A similar, if less pronounced, drop in price occurs around the London morning fixing. The same daily declines can be seen in silver prices from 1998 through 2012. RBS Securities Japan Ltd. in April pleaded guilty to wire frauda s part of a settlement of more than $600 million with U.S and U.K. regulators over Libor manipulation, according to court filings. U.S. District Judge Michael P. Shea in New Haventoday sentenced the Tokyo-based unit of RBS, Britain’s biggest publicly owned lender, to pay the agreed-upon fine, according to a Justice Department statement. The experts say that big banks will keep manipulating markets unless and until their executives are thrown in jail for fraud. The system is set so that even if you’re caught, the penalty is just a small number relative to what you walk home with. The fine is just a cost of doing business. It’s like a parking fine. Sometimes you make a decision to park knowing that you might get a fine because going around the corner to the parking lot takes you too much time. Switzerland’s regulator FINMA ordered UBS, the country’s biggest bank, to pay 134 million francs ($139 million) after it found serious misconduct in both foreign exchange and precious metals trading. It also capped bonuses for dealers in both units at twice their basic salary for two years. Capping bonuses at twice base salary? That’s not a punishment … it’s an incentive. Experts say that we have to prosecute fraud or else the economy won’t ever really stabilize. “The banks have been allowed to investigate themselves,” one source familiar with the investigation told Reuters. “The investigated decide what they want to investigate, what they admit to, and how much they will pay. Wall Street has manipulated virtually every other market as well – both in the financial sector and thereal economy – and broken virtually every law on the books.